DNV GL is the world’s largest provider of independent renewable energy advice. 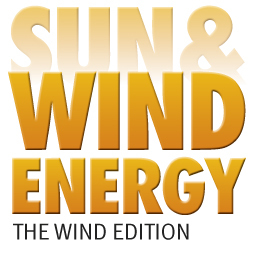 The recognised authority in onshore wind energy, we are also at the forefront of the offshore, wave, tidal and solar sectors. DNV GL now integrates the powerful legacy of GL Garrad Hassan, GL Renewables Certification and DNV KEMA. LEOSPHERE and its subsidiary Avent Lidar Technology are world leaders in ground-based and nacelle-mounted LIDAR (Light Detection And Ranging) for atmospheric observation. The companies design, develop, manufacture, sell and service new turnkey remote-sensing instruments allowing wind measurement and aerosol characterization. LEOSPHERE is focused on ground-based LIDARs and has deployed several hundreds of WINDCUBEs all over the world in all types of environments with the same concern of reliability, accuracy and return on investment. Avent Lidar Technology’s turbine-mounted LIDAR, the WIND IRIS, is used by wind farm owners and operators to optimize their turbine performance. Avent works also with leading wind turbine manufacturers on the integration of its technology into their turbines in order to decrease the energy cost. SCADA International, ”The Solution Provider” within SCADA system products, services and support! Encountered with numerous SCADA system challenges, we strengthen our customers’ business value as we possess the knowledge and experiences required to plan, implement and execute any SCADA system project. Extensive domain knowledge, the latest technology and skilled specialist, we ensure our customers to earn their profit due to a cost effective integration of SCADA system communication with any wind turbine brand by implementing scalable, automated solutions with minimal operational interruption. Flexible and independent, offering consulting, engineering and project solutions, we supply project specific and off-the-shelf solutions, plus any level of systems engineering support from initial feasibility studies to turnkey project management and integration services. Breeze is a web based system that harnesses the power of big data, cloud computing and analytics to let owners and operators of wind farms capture the true potential of their investments. Common problems in wind power production can be dealt with in Breeze through a set of innovative tools that gives a new level of insight into actual production performance and how it evolves over time. Wind turbines are easily hooked up to Breeze regardless of model or brand, resulting in one single system to monitor, analyze and benchmark a wind farm owner’s entire portfolio.